From breakfast, lunch and dinner to a late night drink, family run Java has everything you need. We serve Illy coffee all day made by our fantastic Italian baristas and delicious fresh food cooked by our brigade. 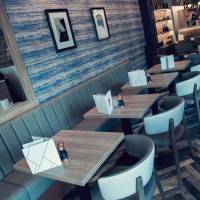 On fine days you can enjoy our outside seating area on the piazza in the heart of Lytham while you watch the world go by. 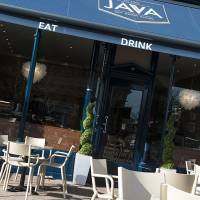 Already popular with the locals Java is a must for visitors to this beautiful coastal town of Lytham. A European restaurant with a great flavours, in the heart of Lytham St Annes on the Fylde coast. We create seasonally-influenced dishes which combine tastes from all over Europe with local flavours. Whether you are popping in to warm up next to our log burner for one of our spectacular hot chocolates, or meeting friends for a quick brunch of the popular Fifty Four full English, or maybe a special night out with your special someone to dine on a few courses from a selection of our menus – rest assured we have chosen the best ingredients for your dish Europe and the UK has to offer.